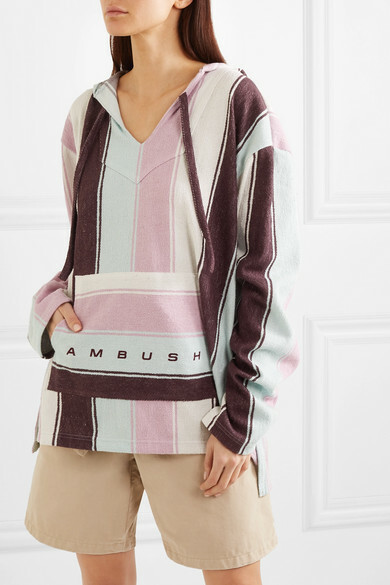 AMBUSH®'s 'Baja' hoodie is from the brand's Spring '19 collection titled 'Waves' - the name is inspired by the designer Yoon Ahn's frequent trips to the beach. 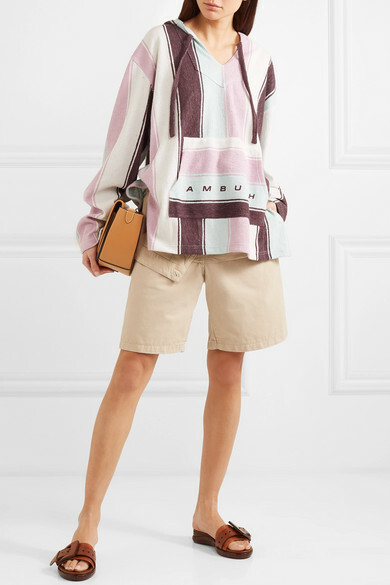 Perfect for throwing on after a dip in the sea, this poncho-style hoodie is cut from lightweight cotton-blend with touches of linen and printed with the brand's logo on the kangaroo pocket. 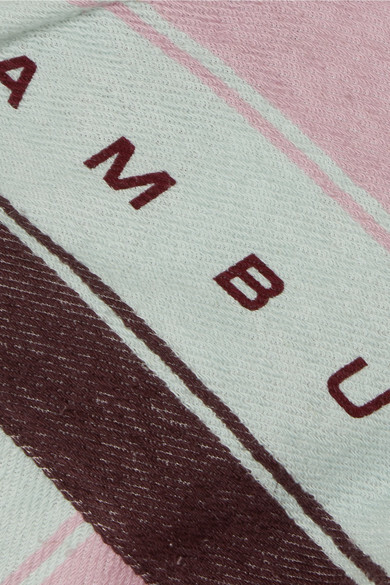 The hood is ideal for covering wet, salty hair.